Place all ingredients of the rub in a bowl and stir until well combined. Rub baby back ribs with prepared mixture. Set aside and let the ribs rest for at least 1 hour. Combine all ingredients for the marinade in a bowl. Stir well until everything is well incorporated. 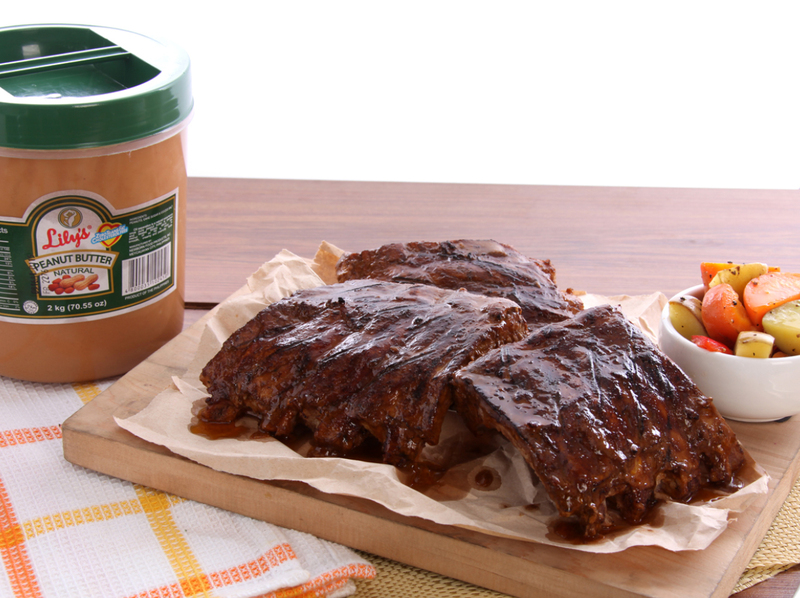 Pour prepared marinade over baby back ribs. Allow marinating for 3 hours in the refrigerator. Preheat oven to 350F. Place marinated ribs in a roasting pan. Roast in preheated oven for 3 hours. Use the remaining marinade as a sauce by pouring in in a pan and simmering for a few minutes. Pour this over the cooked ribs before serving.